Instructor User Guide AssignmentsHow do students submit an assignment? 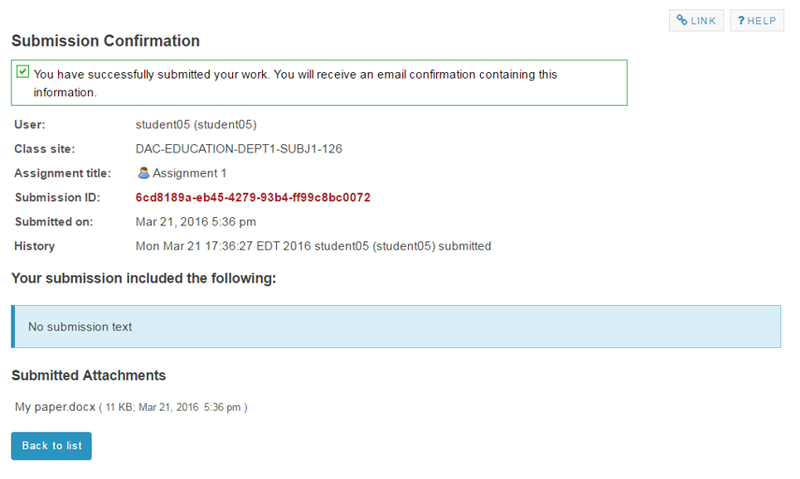 Note: If your assignment has a peer review component, the Peer Assessment for the assignment will appear immediately beneath the assignment title in the list. 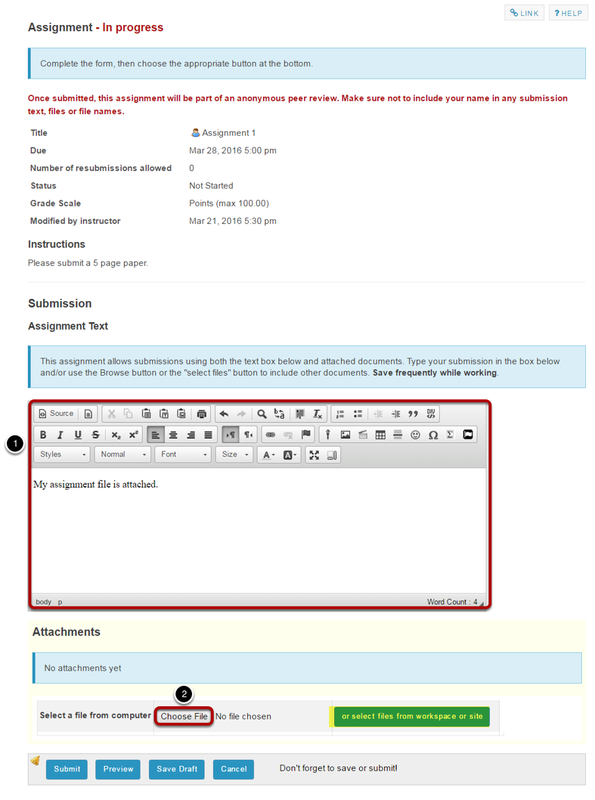 Or, click the direct link to the assignment from Announcements. 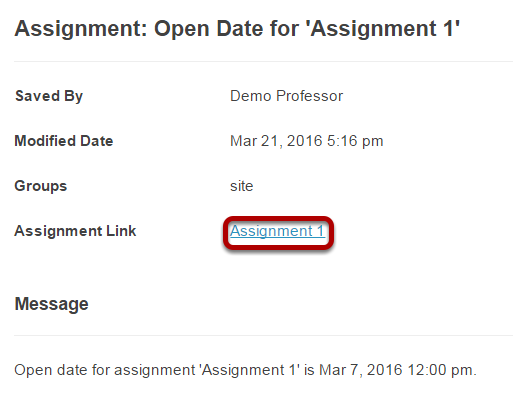 If your instructor has posted an announcement about the assignment open date, you may also access it from the assignment link in the Announcement tool. Or, click the direct link to the assignment from Schedule/Calendar. 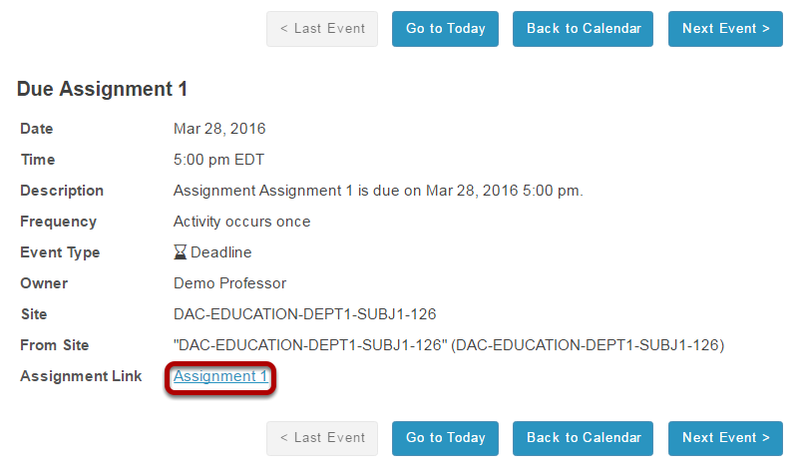 If your instructor has included a calendar post about the assignment deadline, you may also access it from the assignment link in the Schedule/Calendar tool. Zoom: Enter and/or attach your assignment. 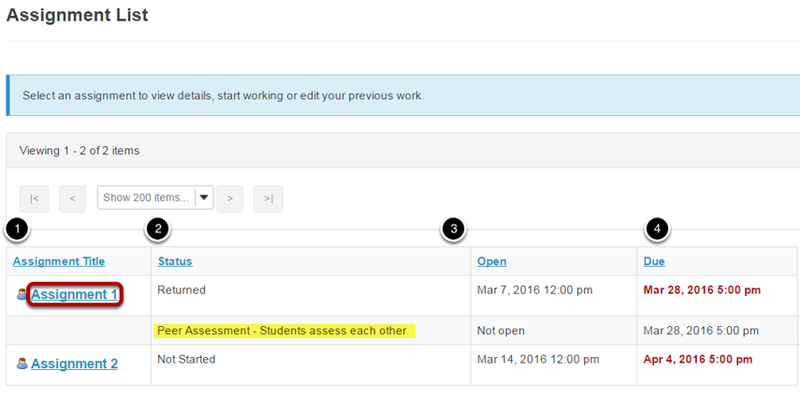 Next: How do students complete a peer assessment assignment?